Yesterday, T-Mobile gave us an update on its network as it stands at the end of 2016. Extended Range LTE grew quite a bit in the final months alone, going from 225 million people in October to 250 million people in December. Thanks, Joshua, August, David, and Andrew! Neat, Phoenix! Hopefully it’ll spread throughout the suburbs surrounding Phoenix over the next few months. I am live in Goodyear and work in Deer Valley – I, too, hope they spread rapidly. Yea, waiting for it to seep into Glendale lol. Where at in San Diego? I was in SD from 12/26-12/28. Zero reception on Coronado Island and SeaWorld. B12 isn’t for speed, but for coverage similiar to Verizon’s band 13 and AT&T’s 17 (and 5/850MHz in some areas). It’s actually quite slow, especially in co-existence zones. When aggregated with a faster band, like 2, 4, or 66 (AWS-3), you get speed and coverage within the range of 2/4/66 otherwise the phone will fallback to straight band 12 as it has a range approx. 1.5-2.0x over midrange bands. But generally, more spectrum+bandwidth = more ways to relieve data congestion/traffic. And some signal even with slow speeds is better than none at all too. West TN desperately needs band 12 to cover the gaps between the splotches of band 4 and 2 to be able to compete out here with VZW and AT&T. Memphis area can’t deploy band 12 yet since its still in use. Even with B12 it gets congested quickly and you can’t do anything. SLC Utah has been lighting up with it as well. I haven’t really kept up with things. 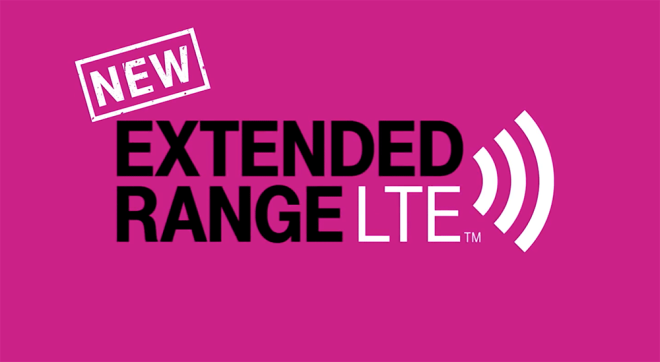 What does extended range LTE offer that regular LTE doesn’t? Band 12 travels a bit further and penetrates buildings a bit better than other frequencies. You definitely want a band 12 compliant phone on T-Mobile. Thanks for the explanation. Is it a software thing whereby a simple switch flip will allow most current phones to use it or a hardware thing where only newer phones will support it? Both the hardware and software have to support it. Some phones still come with the hardware for B12 but have it disabled in software for whatever reason but they’re increasingly rare. Any phone bought through T-Mobile now and days have at least bands 2, 4, and 12. 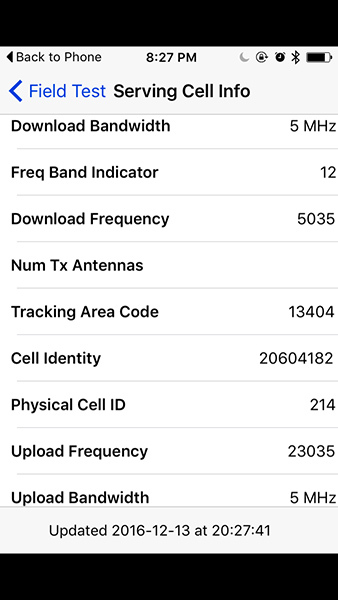 Extended Range LTE aka Band 12 uses a frequency of around 700MHz. T-Mobile main Band 4 is 1700MHz for upstream, and 2100MHz for downstream. Band 4 yeilds the fastest speeds. 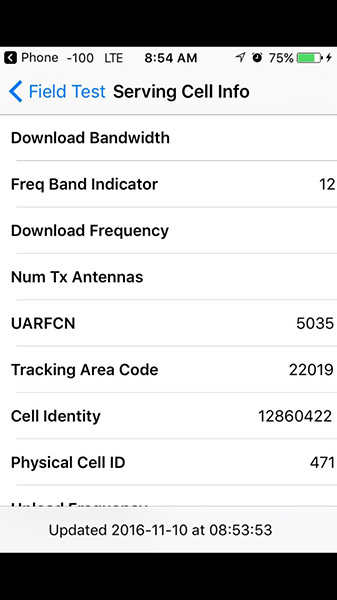 Band 2 at 1900MHz is also used for extra bandwidth. 700MHz cannot give the highest bandwidth rates, but that lower frequency has better propagation through solid objects than the higher frequencies, and travels further. LTE Advanced combines all 3 frequencies for very high data rates when reception is strong. Band 12 has origins in the HDTV conversion. After HDTV was launched, excess airwaves went up for auction. During the Auction, Google famously committed several billion dollars to bid (and possibly buy) Band 12; which is very small in size but similar to 1980s cellular bands. In the last moments of the auction, Verizon placed a bid and won it. Because Google initially said it was going to bid, Apple (of course), didn’t include band 12 support in iPhone 5, iphone 5S, iphone 5C, iPhone 6 or iPhone 6+. Without support from IPhones, Verizon wanted to sell the airwaves because Apple had refused to support the band. As part of the negotiated deal for Band 12, Verizon also sold some of its towers to a third party (American Tower) because TMO’s network was designed for 1700 and 1900Mhz. This way the band could be deployed faster than if TMO built a network from scratch. T-Mobile decided, because of how small the slice of spectrum is, to use omnidirectional antennas. One omnidirectional antenna can cover 1,000 square miles. 3-antenna setups (typical to Verizon customers cover about 1/3 that area but also triple the amount of data available over that same physical 1,000 square mile area.) Further complicating things, omnidirectional antennas can’t be fine-tuned (or aimed) at a specific area. So areas where Verizon coverage is borderline, Verizon can re-aim an antenna. This is something TMobile technicians can’t do with omnidirectional antenna systems. Also, T-Mobile’s equipment is physically lower on the structure; further preventing range. As a result of shortcuts, T-Mobile’s network is engineered in such a way that it won’t support nearly as many simeoutaneous connections like Verizon’s network. The strength however is that T-Mobile knows how to make ads. It’s cheaper to make ads claiming similar coverage to Verizon than design a Verizon-quality network. After many awards, and third party tests, people know Verizon service is the best. T-Mobile is able to leverage Verizon’s brand (and Verizon’s investment into quality connections) by comparing themselves to a competitor but it doesn’t scale, coverage remains patchy because TMO doesn’t control how high on Verizon’s antenna structure it can setup equipment. T-Mobile uses three directional (NOT omnidirectional) antennas for all of their bands (2, 4, 12, 66) just like every other carrier. T-Mobile’s band 12 coverage has never depended on Verizon. 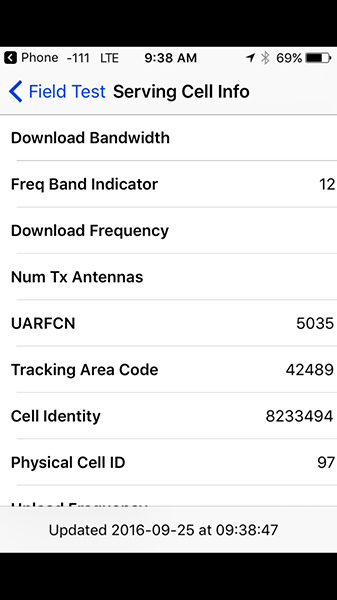 In fact T-Mobile didn’t have band 12 coverage until well after the B12 auction when they started buying up spectrum and deploying it THEMSELVES. Verizon did not try to sell their B12 spectrum. It’s the backbone of their network and the only reason for their extended coverage. The whole height on the tower thing is BS as well. ALL carriers own their own towers AND lease space on other carriers’ and third party’s towers. The carrier that owns the tower always places their antennas at the top for better coverage, otherwise it depends on what deal carriers can work out with the tower’s owner. In the end it usually doesn’t really make that much of a difference. So, is Band 12 being used to cover the gaps? Anybody hear anything on Vegas? -117, -120, -122dbm I see in a few of these shots. Those are nearly unusable low signals. I’m assuming they were taken deep indoors. T-Mobile needs more bandwidth in Fayetteville, N.C. 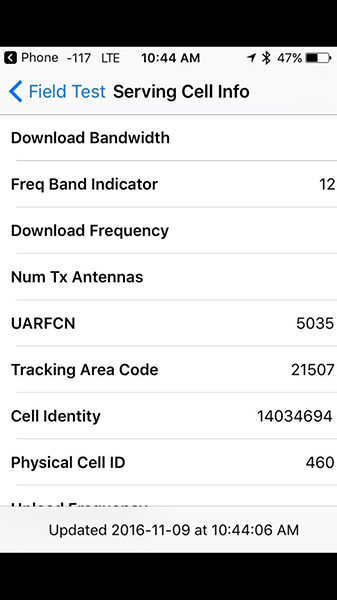 Band 2 5MHz + Band 12 5MHz. That’s pretty bad. Even near T-Mobile arena reception is bad, how do they explain that. Wrong part of KY. How about Lville? Don’t bother trying to use GPS on T mobile. It’s guaranteed to get you very lost. It works fine for me and there are a lot of skyscrapers and underground tunnels in Gotham. I have been to Phoenix a few times and never had any issues with the GPS on my phone. I have absolutely no issues with my GPS in Phoenix. Have both T-Mobile & Verizon, dropping Verizon when contract runs out. Have had T-Mobile for 8+ years and it blows Verizon away. GPS works fantastic on my T-Mobile device, locks on in 3 seconds inside my house and it is spot on exactly while traveling. T-Mobile is reaching over 300 million customers & gaining more monthly. T-Mobile upgrades it’s towers constantly, couldn’t be happier. Thank You T-Mobile, Thank You John Legere!!! So how many total customers did Tmo reach by the 4th qtr of 2016? Reach 70m yet? Wont find out till late jan. I know T-Mobile has to be close to 70m customers at this point! Still though after all of Legere’s efforts the past 3yrs I’m dissapointed the big 2 don’t seem to be losing a significant amount of customers. The big 2 have lost sum customers. But it seems imo that the gains Tmobile have gotten more than likely came from people who either had prepaid, government phones, or Sprint. Hmm…wonder if there will ever beaserious three times to the Big Two?!?!?!? Seriously, ATT & Vzn probably control close to 60+% of the entire U.S. market. AT&T and Verizon have both lost a lot of phone customers. Pay attention to “connected devices.” That’s why it doesn’t appear that they’re bleeding. 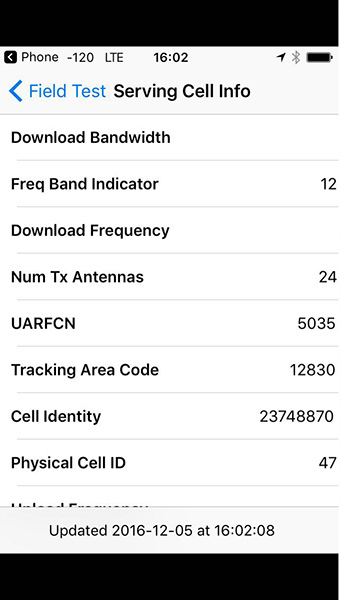 I’ve noticed that band 12 isnt on all cell towers (in areas already deployed with band 12) Imagine their coverage foot print if you had that? My guess is that there would be interference? Columbus, GA just went live!!! I haven’t seen band 12 in Columbus yet. Band 12 in Tucson, AZ too! 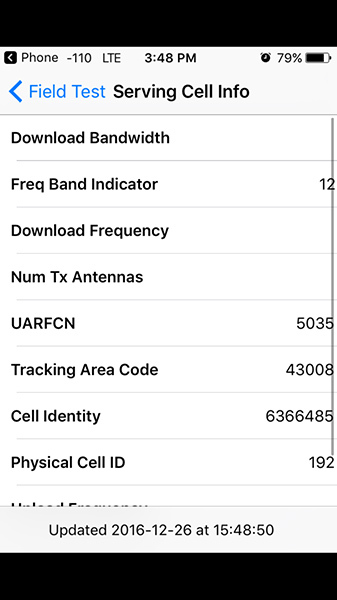 Discovered it in the restaurant I work at, but noticed it switched to Band 4 when I stepped outside. 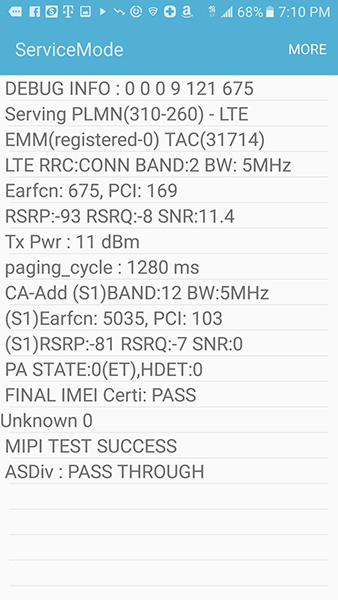 Band 12 spotted in Lakewood,NJ! ocean county area. LOL.. How do you know? Band 12 is faster and will alleviate traffic for those who don’t have band 12 capable phones. The difference between traditional theoretical speed numbers and these LTE “theoretical” maximums are that they are realistically achievable, assuming low load. They’re not lab results, they’re real-life resilts. Assuming low load, if you work/ live at a metro area, you’ll experience what I’m saying. I know exactly what you’re saying. Orlando around Disney is unusable during peak hours. 20MHz can’t save them there. My only point is that the 37 is totally realistic, not a lab statistic. It may have been CA, I didn’t know how to check last time I was down there. Pretty certain my V20 can only do 2 bands anyway, not 3. It shipped with Nougat, but yeah, the first system update. One just came out, but all it does really is fix a root exploit. Go figure. Your V20 can and does do 3 band aggregation right now. Mine does it beautifully with b2, b4, and b12. However, you have to be in engineering mode to actually see any indication. That’s where I was. Can you screenshot the screen you were on for me? And if congested you are lucky to see 0.50mbps. If the purpose of band 12, is to get coverage where other bands can’t, then carrier aggregation won’t solve anything. The principal purpose of band 12 is to provide coverage indoor, where there’s no band 4, if you get both, fantastic, if you only get band 12, as it happens on metro areas, it is useless, because 5 MHz aren’t enough for the amount of people living/ working in buildings where band 4 can’t penetrate. Can tmobile put up band 12 on every tower in a city they have a license for or will that cause interference? I got a problem. I cannot get any data signal anymore at my cube in the office. It was fine for many years until two days ago. If I go to the window, I can get data. What happened? Yep, it happen to two different phones at the same location, so its not a phone problem. What number do I call T-mobile to let them know? 611 or Twitter give them the location and explqin what happened, You could also email john legere . Also well make sure data is turned on in the phones settings. Hey TMO everyone of those screen shots !